Yesterday I was fortunate to be part of a perfect real estate closing. My clients signed all the document and we were celebrating their home purchase in just 60 minutes. It is so exciting for me to be involved in such a big moment in the lives of families! My family has already made it out to Honey Hill Orchard in Waterman IL for our annual apple picking. 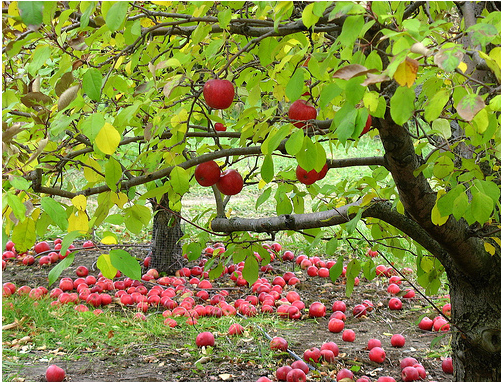 Here’s a list of U-pick apple orchards in Illinois. Wilder Promenade, 350 N. River, 7:30 a.m. to noon Saturdays, June 2-Oct. 27. West Plaza Shopping Center, 1901 W. Galena, 2 to 6 p.m. Wednesdays, July 11-Sept. 12. Spring Lake Park, McCoy Drive, Wednesdays, 9 a.m. to 1 p.m. July 11-Sept. 12. 630 256-3370. Batavia 28 S. Water, between Wilson and First. 8 a.m. to noon. Saturdays, June 16-Oct. 27. 630 761-3528. Brookfield Brookfield Village Hall, 8820 Brookfield. 8 a.m. to 1 p.m. Saturdays, June 2-Oct. 27. 708 268-8080. Burr Ridge Village Center, McClintock and Burr Ridge. 10 a.m. to 2 p.m. Thursdays, June 14-Sept. 13. 630 920-1969. Downers Grove Main Street Metra parking lot, 1000 Burlington. 7 a.m. to 12:30 p.m. Saturdays, May 12-Oct. 20. 630 968-8400. Elmhurst Parking lot, northeast corner of York and Vallette. 7 a.m. to 1 p.m. Wednesdays, June 6-Oct. 31. 630 832-4550. Metra parking lot. South and Fourth. 9 a.m. to 2 p.m. Sundays, May 6-Oct. 28. 312 575-0286. Green Market, 75 N. River. 7 a.m. to 1 p.m. Thursdays, June 7-Oct. 25. 630 377-0373. Glen Ellyn Main Street parking lot, adjacent to Giesche Shoes. 8 a.m. to 1 p.m. Fridays, May 25-Oct. 26. 312 575-0286. Hinsdale Burlington Park, on Chicago Avenue, between Garfield and Washington. 7 a.m. to 1 p.m. Mondays, June 4-Oct. 8. 630 323-3952. La Grange Parking lot, Sixth and Harris. 7 a.m. to 1 p.m. Thursdays, May 10-Oct. 25. 708 387-7550. La Grange Park 31st Street and LaGrange. 8 a.m. to 2 p.m. Tuesdays, May 8-Oct. 23. 708 387-7550. Lisle Commuter lot, west of Village Hall, 925 Burlington. 8 a.m. to 1 p.m. Saturdays through Oct. 28. 630 222-3403. French Market. Metra parking lot, on St. Charles between Garfield and Martha. 9 a.m. to 2 p.m. Saturdays, June 2-Sept. 29. Yorktown Mall, Highland and Butterfield. 3 to 7 p.m. Wednesdays, June 6-Sept. 12. 630 235-1376. Maywood Maywood Public Library, Fifth Avenue and St. Charles. 8 a.m. to 1 p.m. Saturdays, June 4-Oct. 15. 708 865-8028. Naperville Fifth Avenue Station, 200 E. Fifth Ave. 7 a.m. to noon. Saturdays, June 2-Oct. 27. 630 369-5638. Oak Park Parking lot of Pilgrim Congressional Church, Lake and Elmwood. 7 a.m. to 1 p.m. Saturdays, May 19-Oct. 27. 708 358-5780. Oswego Tripp Insurance parking lot, 5 N. Main. 9 a.m. to 1 p.m. Sundays, June 3-Sept. 30. 630 554-4433. Riverside 27 Riverside Road. 2:30 to 7 p.m. Wednesdays, June 13-Oct. 3. 708 447-2700. St. Charles Baker Memorial United Methodist Church, Fourth and Main. 7 a.m. to 1 p.m. Fridays, June 1-Oct. 26. 630 584-6680. Sugar Grove Village Hall, 10 S. Municipal. 8 a.m. to 1 p.m. Saturdays, June 2-Oct. 20. 312 575-0286. Villa Park Park and Ardmore. 8 a.m. to 1 p.m. Sundays, May 6-Oct. 28. 312 575-0286. Western Springs On Hillgrove, between Lawn and Grand. 2 to 7 p.m. Thursdays, May 3-Oct. 25. 312 575-0286. Wheaton Municipal Parking Lot 3, Main and Liberty, 8 a.m. to 2 p.m. Saturdays through Nov. 10. 312 575-0286. Winfield Prairie Trail Center, southwest corner of Geneva and County Farm. 7 a.m. to 1 p.m. Wednesdays, June 6-Oct. 31. 630 682-3712. Yorkville Town Square, Illinois 47 and Church. 8 a.m. to noon Saturdays, June 9-Oct. 27. 630 553-4357.
via Check out our annual farmers market guide – Aurora Beacon News. Ravinia – Classical or NOT? To see the full schedule http://www.ravinia.org/Calendar.aspx . I ‘m going to head over to a Naperville dealership to test drive a Ford Explorer. The dealerships in the link below will donate $20 to Turning Pointe Autism Foundation for every test drive. A good friend of mine is very involved with this organization as her family is affected greatly by this disorder. What are you going to test drive? 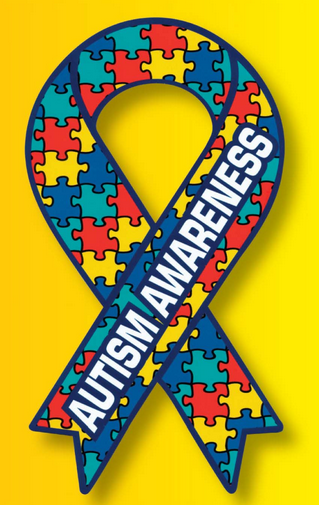 via TestDrive « Turning Pointe Autism Foundation – Center for Autism Lifestyle Development and Education – Naperville, IL. I am going to head over to a Naperville dealership to test drive a Ford Explorer. The dealerships in the link below will donate $20 to Turning Pointe Autism Foundation for every test drive. A good friend of mine is very involved with this organization as her family is affected greatly by this disorder. Illinois College Authority LLC presents College Planning Workshop at the Sugar Grove Public Library, Sugar Grove, IL. Saturday, April 21, 2012 from 10:00 AM to 11:30 AM (CT) Reservation is required, so reserve your seat now. This will be a valuable class for all parents with college-bound students. The class will focus on high school Juniors & Seniors (all grade levels are welcome). Parents, bring your students! IMPORTANT: This class will reveal how families with annual income of $80,000-$225,000 received assistance to help pay for a college education! Come learn the details about how many families have found ways for their students to attend the best colleges without wiping out their wealth. Is it possible to attend a PRIVATE COLLEGE for a Public College price!!! Financial aid comes in many different forms from a variety of sources. Our researach and program guides families to uncover their greatest opportunities. NEW YORK CNNMoney — Borrowers with some federally insured mortgages will be able to refinance into lower interest rate loans more easily and cheaply under a plan unveiled Tuesday by the Obama administration. At a news conference, President Obama announced that the Federal Housing Administration will cut upfront fees for refinanced loans it already insures. The new fees are for borrowers whose FHA loans were issued before June 1, 2009. An estimated 2 to 3 million borrowers could take advantage of the savings, which could reduce mortgage payments for the typical FHA borrower by about a thousand dollars a year, according to the administration. “Its like another tax cut in peoples pockets,” said President Obama. Borrowers who refinance their existing FHA loans will pay an upfront insurance premium equal to 0.1%, the lowest allowable rate, of the mortgage amount — $100 for a $100,000 loan — plus an annual fee of 0.55%. The new refinancing fees contrast sharply with the cost of obtaining a FHA loan, according to Jaret Seiberg, an analyst with the Washington Research Group. A borrower making a 3.5% down payment on a home purchase as of April 1 will pay a 1.75% upfront fee and a 1.25% annual fee. Those purchase fees were raised barely a week ago to improve the FHAs capital reserve. via Obama reduces refinance costs for FHA mortgages – Mar. 6, 2012. I would have posted this for Veteran’s Day if I had seen it then but coincidentally it is the 70th anniversary of the Japanese attack on Pearl Harbor…. enjoy the half-time show! 2011 West Virginia University Marching Band Armed Forces Salute – YouTube. “I’m mad as hell, and I’m not going to take it anymore!” Yeah, that’s great. But what do you want? What are your goals? What are your demands? What result are you looking for? The beauty of being vague is that anyone who has any emotion can get caught up in the excitement and join your crusade. They’ll just get mad at something and assume that you’re both mad about the same thing. Put a few hundred of these people together, and boom. You’ve got a crowd, a headline and a lot of attention … but no message. via Dear Occupy Wall Street … – daveramsey.com.